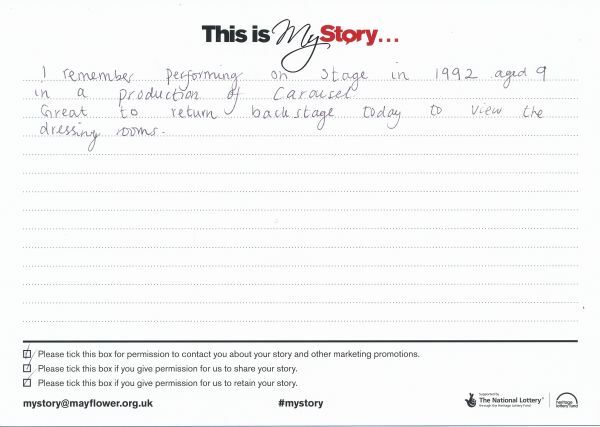 My Story card: Gemma Jennings remembers performing in Carousel and enjoyed her backstage tour. I remember performing on stage in 1992 aged 9 in a production of Carousel. Great to return backstage today to view the dressing rooms.